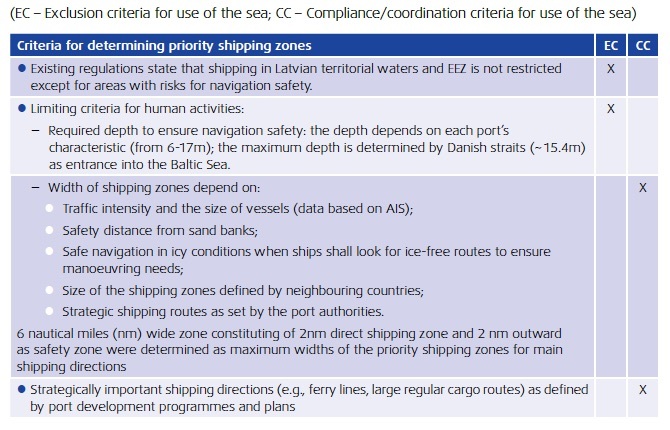 This practice shows how permitted sea uses were determined within the Latvian MSP process, which is a core task in any MSP process. How to determine permitted sea uses? The determination of permitted sea uses is a core task in any MSP process. Determine which uses can be conducted in what areas and under what conditions. 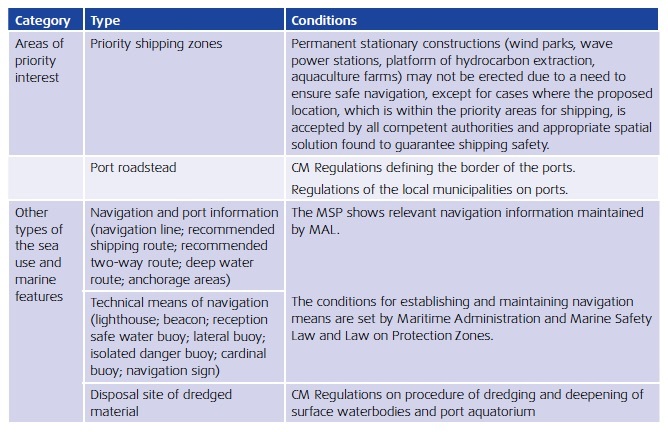 The below figure shows the individual elements for determining permitted sea uses. For each use, the current status and expected trends were assessed with the help of indicators as well as spatial data of the sea uses. 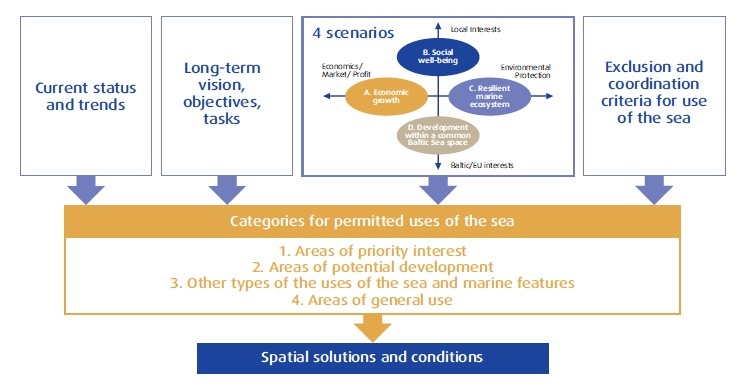 Coordination criteria for use of the sea (conditions that should be taken into account to ensure the application of the ecosystem-based approach as well as the sustainaable use of sea space and resources). 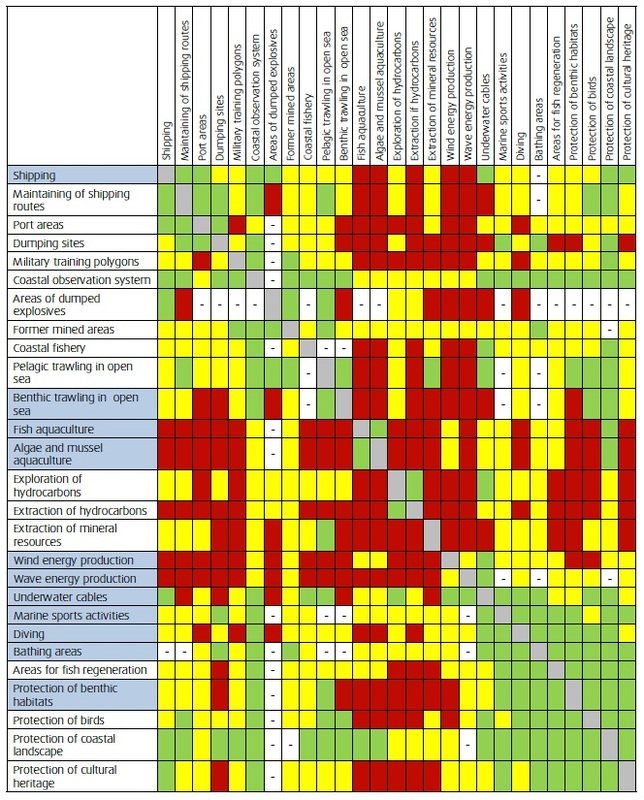 A conflict matrix helped to determine which uses are incompatible with each other (i.e. belonging to exclusion criteria) and which uses do not disturb or even support each other (i.e. belonging to the coordination criteria). Areas of general use where all uses are allowed. In different areas, a certain sea use can be allowed in a different quality, corresponding to different categories of permitted sea uses. Against this background, four scenarios with different MSP solutions were developed. 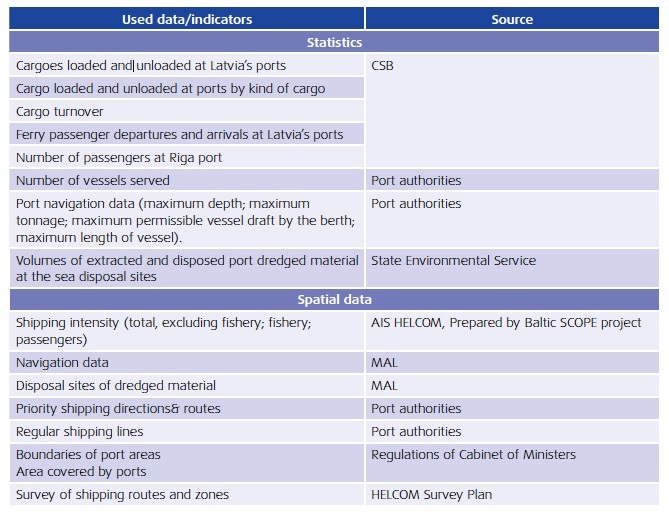 The approach of designating sea uses can be transferred to other MSP systems.